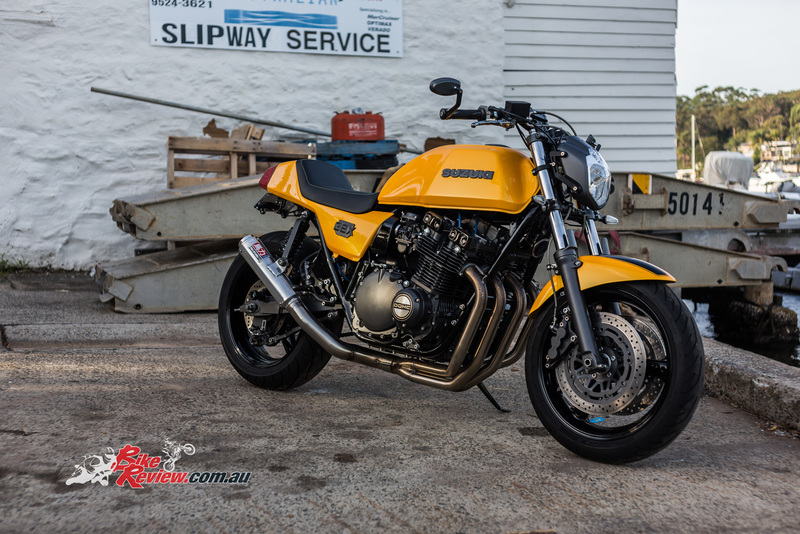 The original 1980 GSX1000e’s styling is visible but this bike by Sam and Mick has been transformed, for a cleaner, more aggressive look. 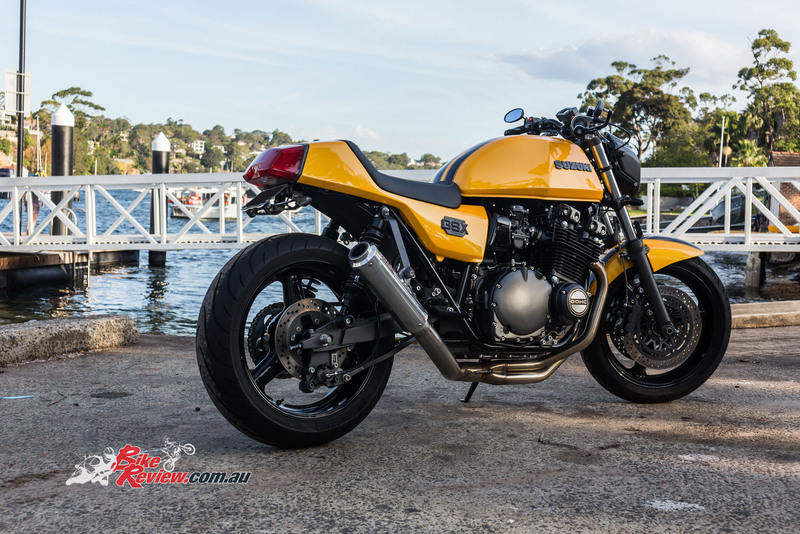 This eye catching creation by Sam and Mick started life as a 1980 GSX1100 – a sporty muscle tourer that was introduced in an era where horsepower restrictions had taken some of the bite out of the performance on offer. 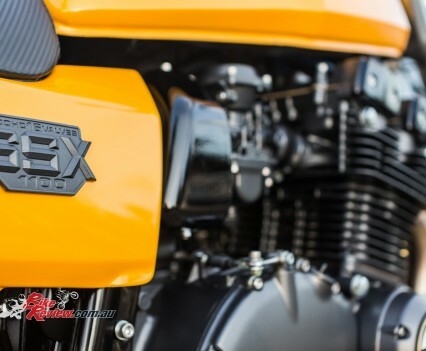 To answer this Suzuki’s GSX1100 was just under the 100hp mark, despite adopting a four-valve per cylinder head along with a number of other improvements. 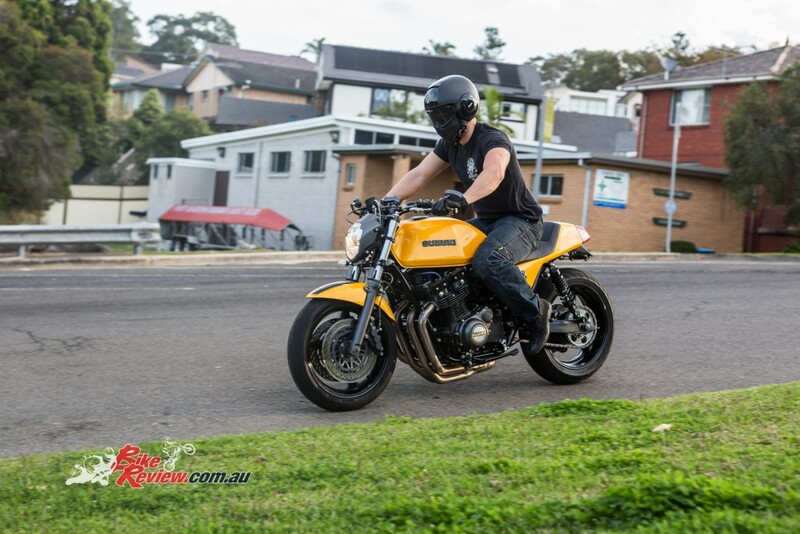 Performance was class leading and the GSX would garner a reputation as not only a solid performer but also an extremely reliable steed over the proceeding years. 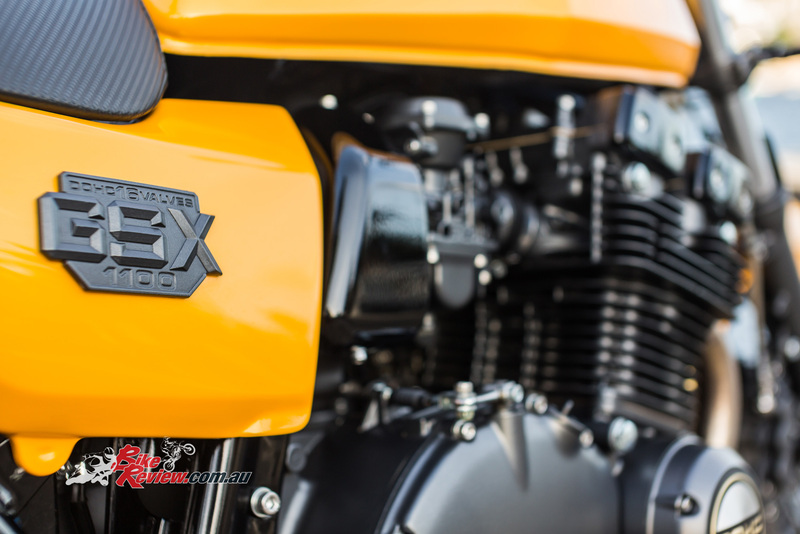 By today’s standards the GSX1100 is a heavy machine, with a wet weight over 250kg, however much of its appeal still remains. 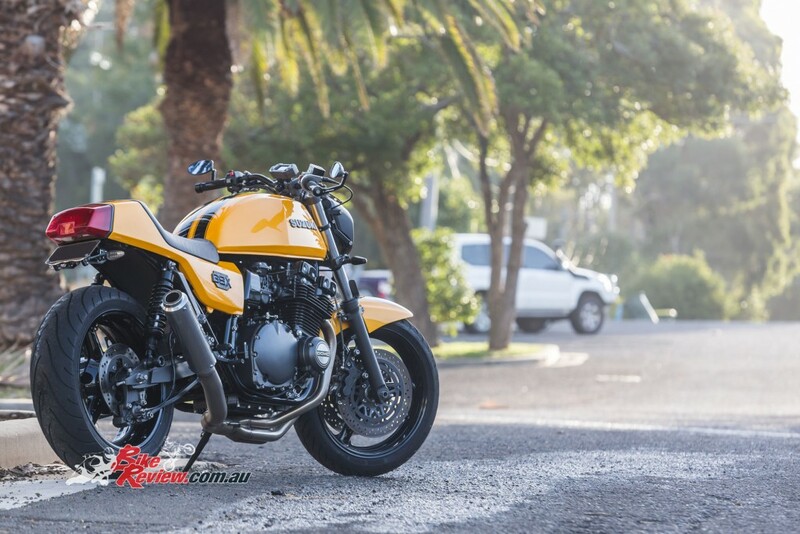 Sam was the first to admit that he saw a custom GSX1100 at the Barry Sheene Festival of Speed, which he was purveying with his Dad at the time, he felt inspired. 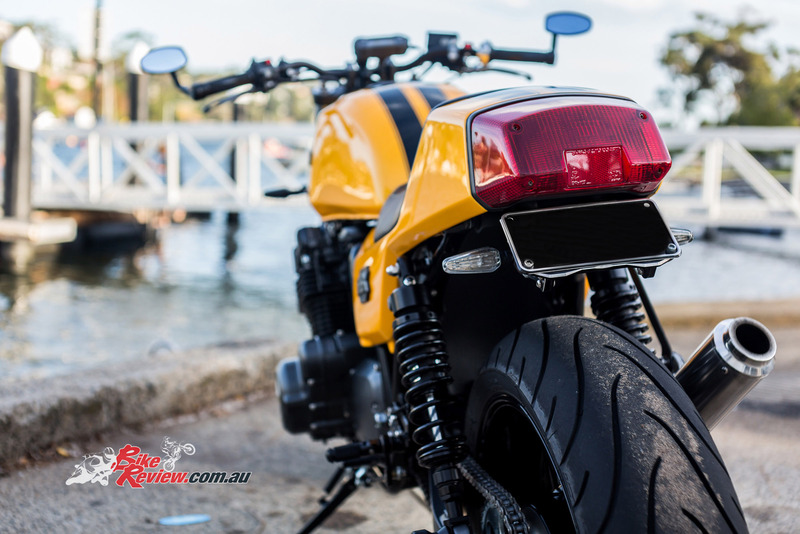 The rest is history as Sam went to the previous owner and enquired about the possibility of acquiring the machine, which truth be told was in a pretty sad condition.It was complete but the motor was rattling in a worrying manner, which meant the bike had been put aside. Purchased for just $1500 this bike was in need of some serious TLC with an diagnosed engine problem a further unknown. 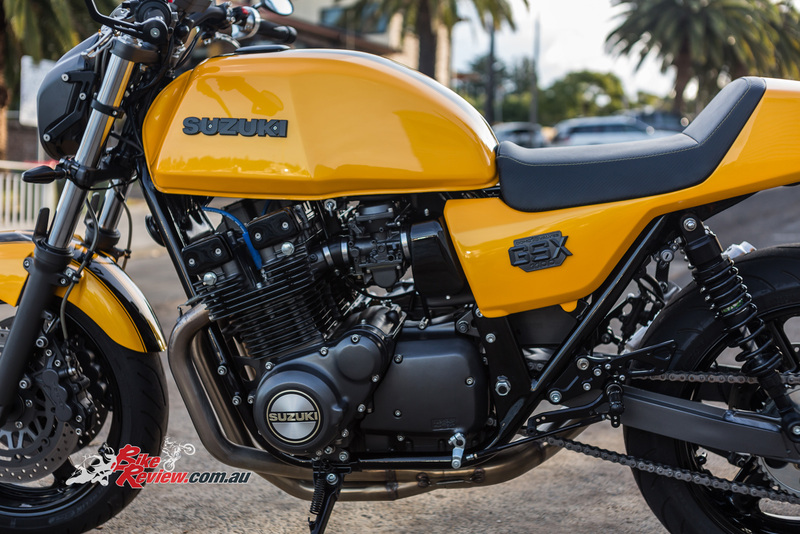 Mick rebuilt the engine with Yoshimura 74mm pistons and rings and performance mods are something Sam regrets not doing at the time. 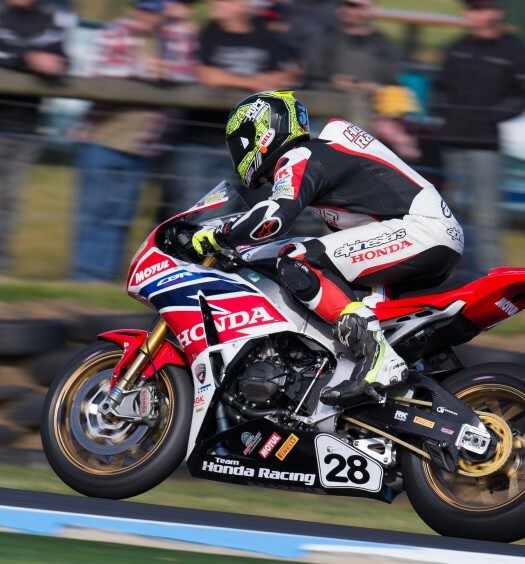 Sam’s Dad Mick rebuilt the engine, which is standard apart from a set of Yoshimura 74mm pistons and rings, as well as having been ported and polished at some point prior to when Sam purchased the bike. The clutch also needed a rebuild as it was slipping around the 5000rpm mark, with Sam sourcing a new set of plates and heavy-duty springs, with the strengthened basket already fitted, kept. 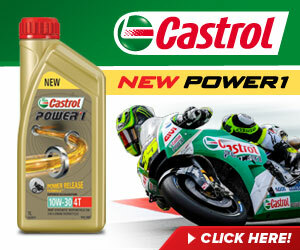 The only other drama was jetting the carbs, with Sam purchasing three different sizes before they found a setup which worked, with the needle positions tweaked. 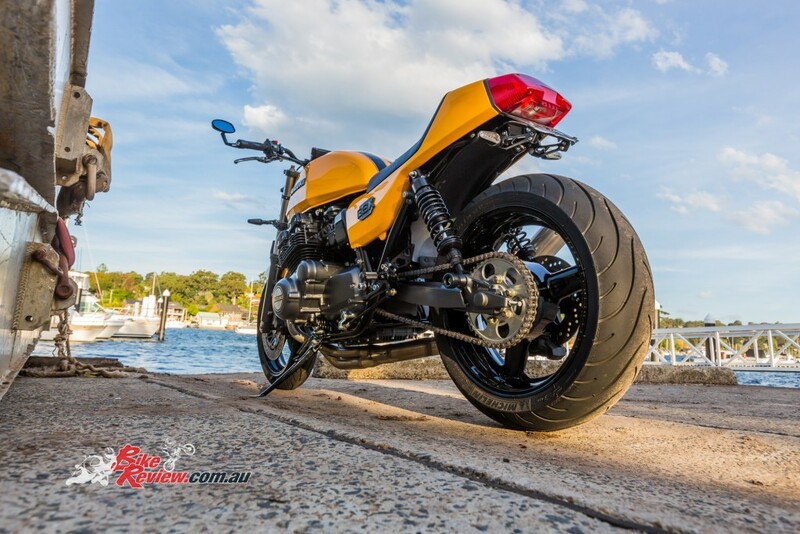 The Moto GPWerkz exhaust looks the business and sounds awesome, with mounting brackets painted to match the frame. With the engine sorted a K&N airfilter was added, with a full Moto GPWerkz system, with now nicely bronzed headers and a stainless muffler. It’s a four-into-one system and the mounting bracket has been painted to match to engine and swingarm. The chassis also received some attention, with the rear end chopped down for a cleaner look, while any excess weight like the centre-stand was removed, with the side stand also moved to allow for the Bandit 1200 rearsets which Sam acquired buying a wreck for parts and wheels. 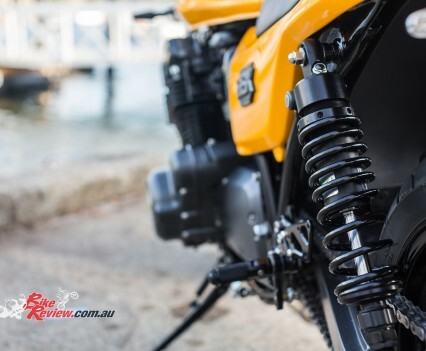 The triple-clamps came from the Bandit 1200, as did the forks now adorning the bike, although Mick had to totally rebuild the forks and added Ohlins springs suited to Sam’s weight. 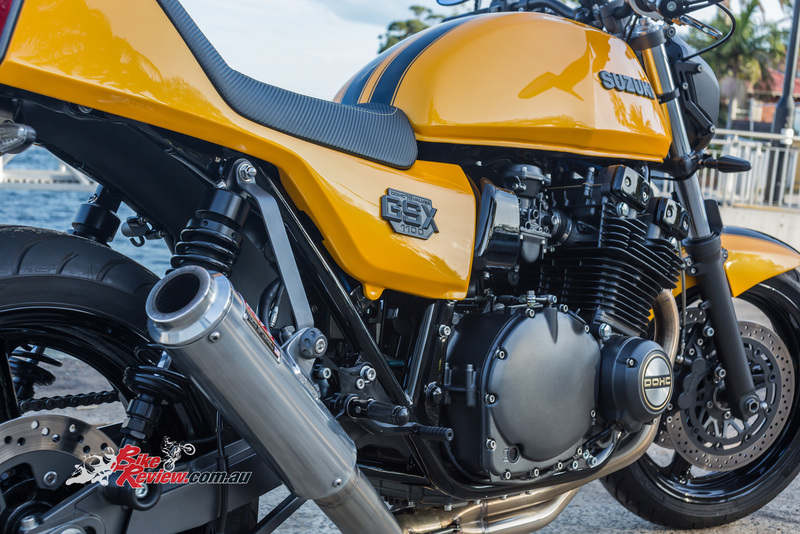 The bike looks great from any angle with Gazi Sport X shocks helping improve rear end suspension performance. 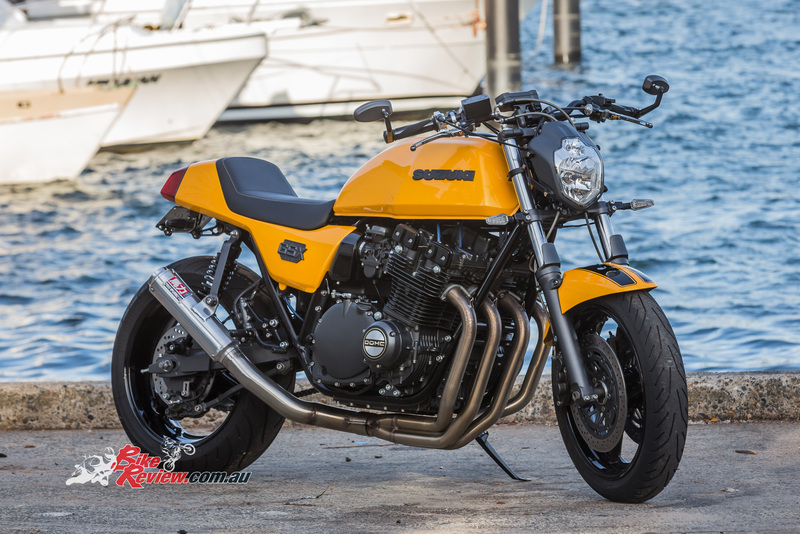 The Nisson front brakes from the Bandit were carried across with the forks, along with the wheel, while the swingarm is the stock GSX1100 item, with the Bandit 1200 torque arm welded to it, before being repainted by Sam. Sam’s actually a painter by trade, which certainly explains the awesome paint scheme on this bike, which includes the matte grey across the engine, carbies, swingarm and rear brake master-cylinder. 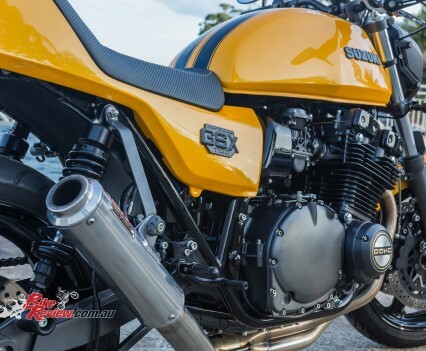 The rear wheel is also from the Bandit 1200 and both are clad in Michelin Pilot Power 3 rubber, with the Nissin caliper and rotor to match also carried across, along with the Bandit rear master-cylinder. The whole braking system also benefits from a set of Venhill braided black lines. The awesome paintwork was done by Sam, and looks the business, while helping reduce the overall cost of the build. Sam also paid special attention to the bodywork, which was one aspect of the bike that first caught his attention, particularly the tank. 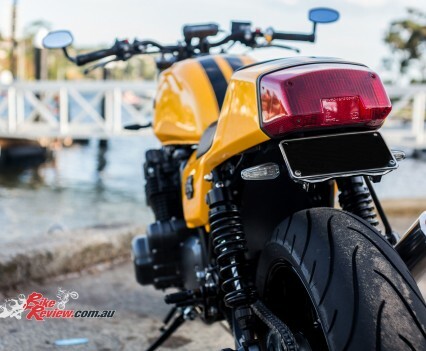 The tank is the standard GSX1100 item, while the tail unit has been heavily modified to turn the side covers and tail cowl into a single piece of bodywork. 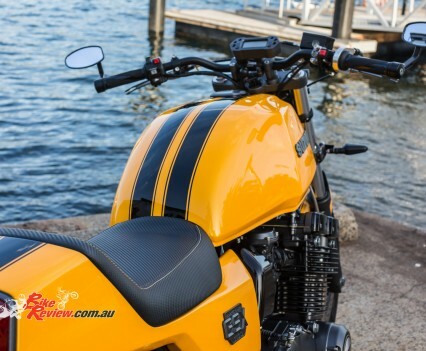 The seat is a fiberglass unit created to suit by Sam and Cronulla Smash Repairs, with the front guard the Bandit 1200 item. The paint scheme is subtlety Transformer inspired according to Sam as well – yep you guessed it, after Bumblebee! 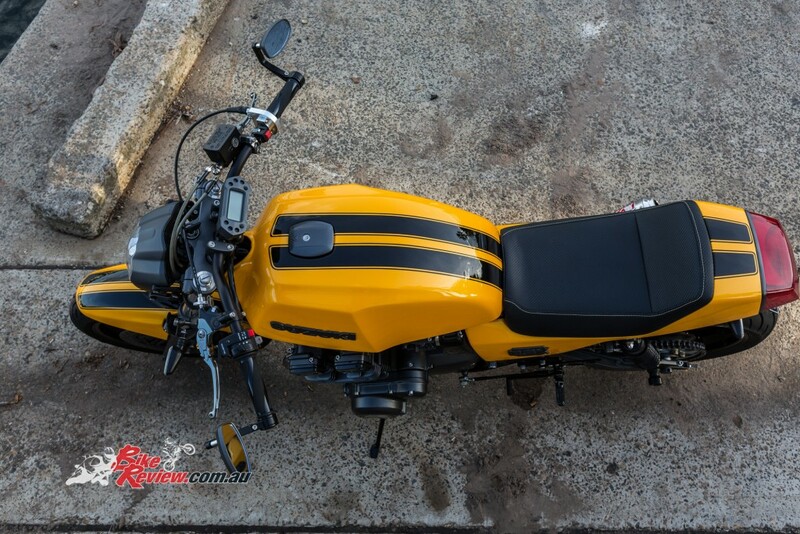 The paint is De Beers 2pk and the result, with black stripes is eye catching to say the least. 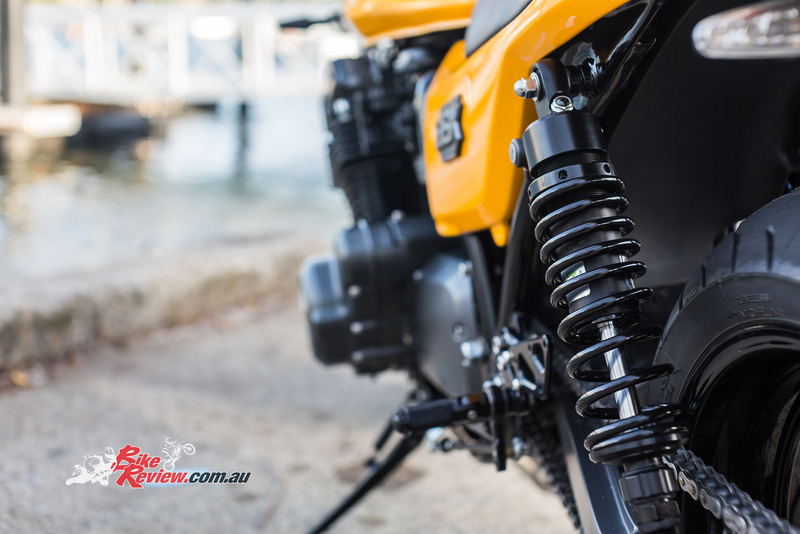 Other small details include the LSL MT-01 headlight, which blends seamlessly into the front end, as well as Renthal top-mount extra low ‘bars, adorned with aftermarket controls that cover all the necessary inputs of the original items. 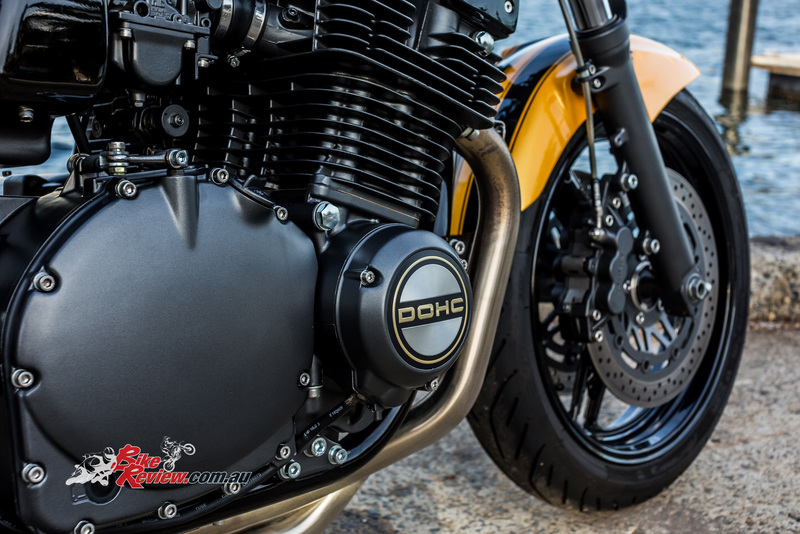 Adjustable aftermarket levers have also been added, with billet ‘grips and bar end mirrors, while the dash is now a Koso full LED speedo display. Indicators are likewise smaller aftermarket items, while the rear plate is displayed in a custom tail tidy, below the refurbished original tail light. Just to top things off Sam even has a adjustable phone mount fitted, with USB charger to stay connected (and charged on the run!). 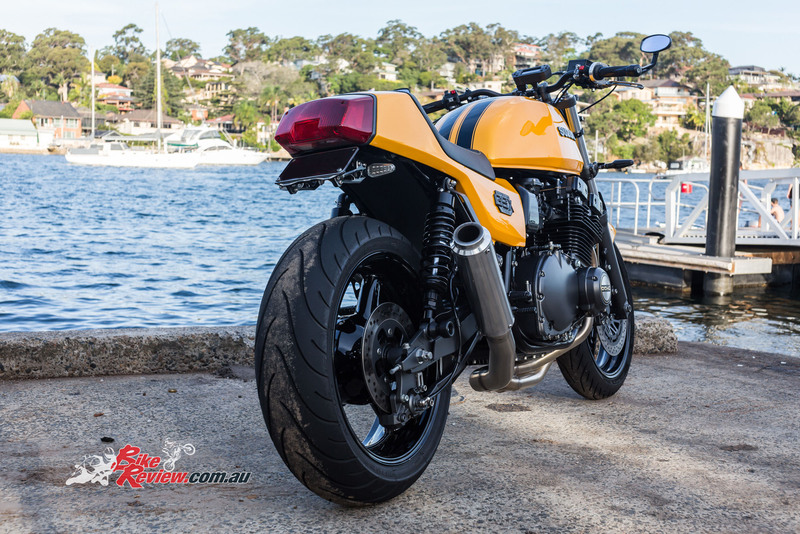 The whole project took around a year for Sam and Mick, and the results are stunning – the bike seems simple and stripped back but the attention to detail and quality of all the modifications is top-notch. 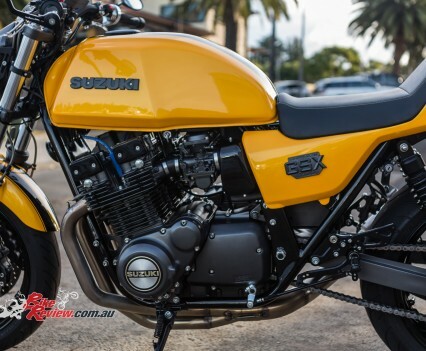 Looking at this GSX1100 it’s exactly what I envisage Suzuki would be creating is the model line was still being produced, but there’s just so many great details that you could spend a day just looking over the bike. 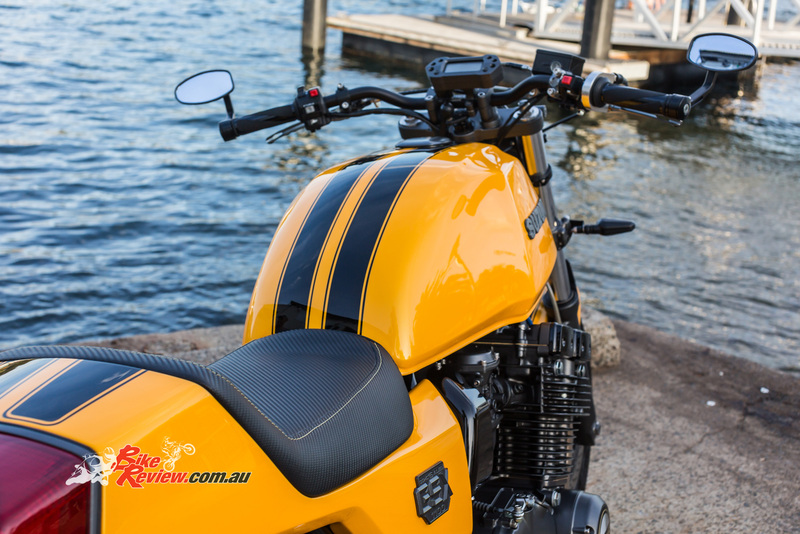 The LSL MT-01 headlight modernises the front end, along with Renthal ‘bars, aftermarket controls and a Koso full LED speedo display. The total cost was under $9000 according to Sam which is also an amazing feat, although he did do the painting and a huge amount of sand blasting himself – with uncounted hours spent. 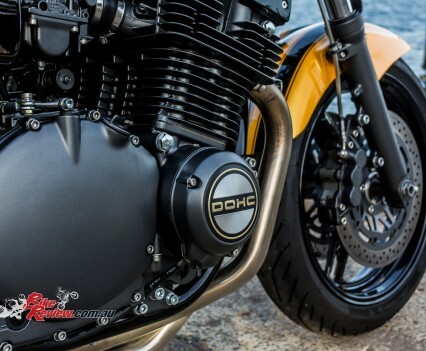 The stroker crank and oversized pistons, along with a different exhaust system are on the possibilities list for future mods and Sam admits he’d be hard pressed to part with the bike, wanting at least $15,000 for it but admitting, to him at least it’s really just priceless. He also wanted to thank his Dad Mick particularly, for his help, experience and being an inspiration, as well as his boss Brian at Cronulla Smash Repair. 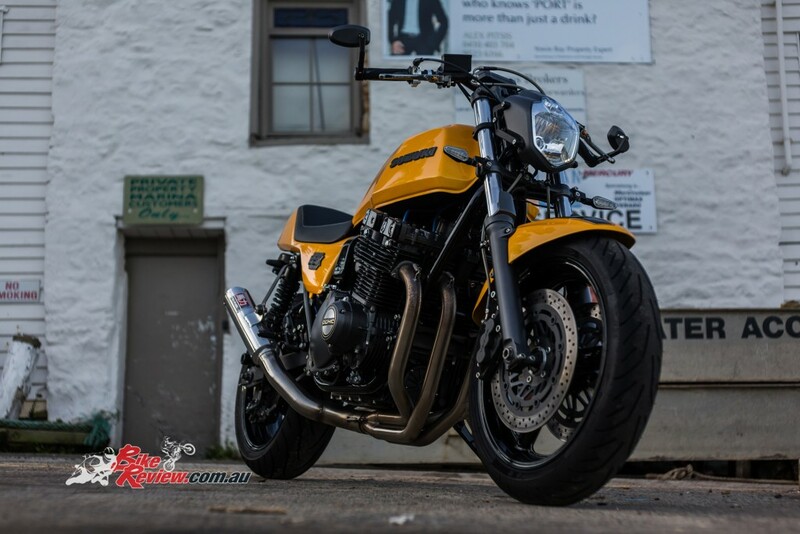 You can find Mick at Cronulla Smash Repair if you like his work, or on Instagram as Samboydesigns, or Mick at Mick Muldoon Motorcycles (mmmcycles.com.au). 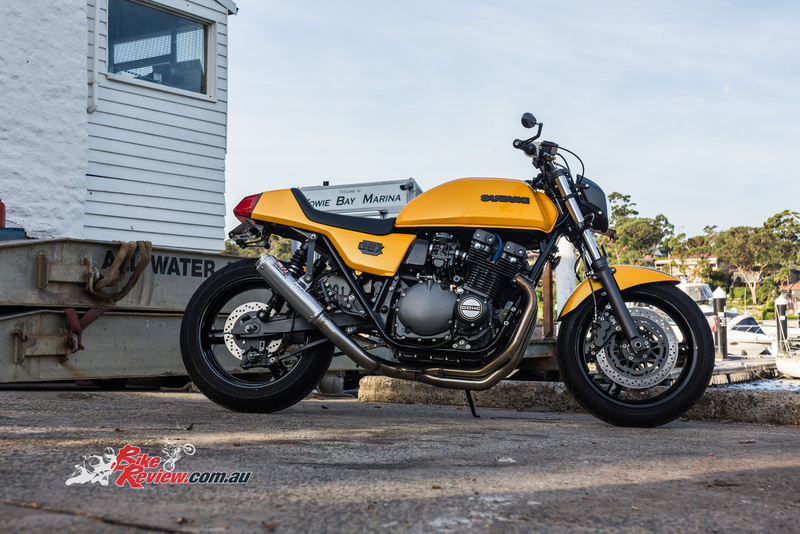 The total cost of the build was just $9000, but Mick did the engine rebuild, while Sam did all the painting and blasting, with the level of care and detail that has gone into this machine an inspiration. HOW LONG HAVE YOU BEEN INTO BIKES? Dad put me on a bike at the young age of four. WHAT OTHE BIKES HAVE YOU OWNED? Various Kawasaki dirt bikes, I went on to race Dad’s Yamaha XS650 and his Kawasaki 500 triple, both of which I won Australian titles on. 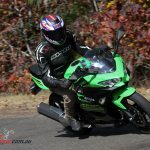 I also raced a ZX-6R. WHAT OTHER BIKES WOULD YOU LIKE TO OWN? 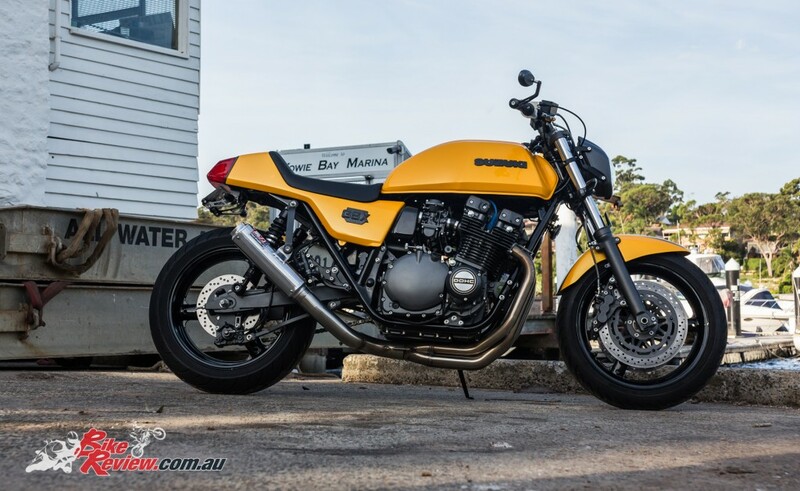 The GSX was the ultimate dream for me but Dad and I have a few other street bikes we are building, including a Honda Four with a Cobra 1000 motor and a Kawasaki GPZ1000. 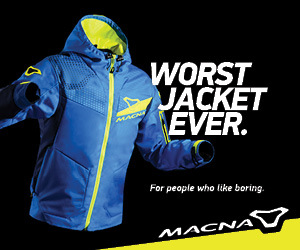 WHAT INTERESTS DO YOU HAVE OTHER THAN MOTORCYCLING? Just lifting weights and another project Dad and I have, which is a HK Monaro we are slowly chipping away at. 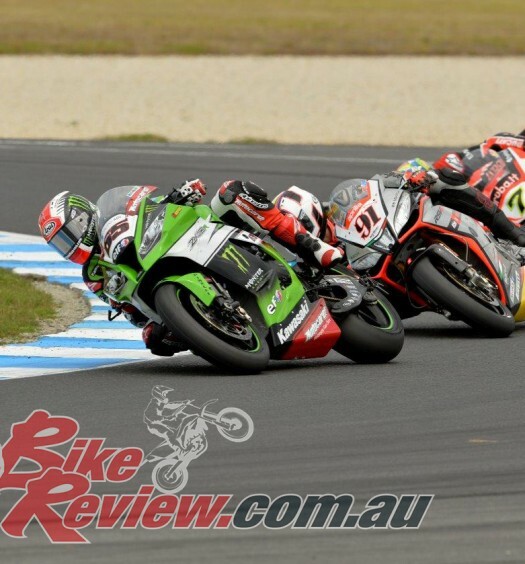 Four Days Until Phillip Island SBK!